Have you ever met these problems ? When you visited certain websites, it show you some codes like 404 Not Found, 500 Internal Server Error, 503 Service Unavailable and so on ? So, what does all those codes mean ? In the next few days, we will explain it to you what does those codes mean and why it happen. Today we will start with HTTP status codes – 1xx Informational – Request received, continuing process. This is a non-standard IE7-only code which means the URI is longer than a maximum of 2083 characters. This entry was posted in Computer and tagged 100 Continue, 101 Switching Protocols, 102 Processing, 122 Request-URI too long, http satus codes on March 31, 2011 by RMvalues. Remember our previous post regarding to the Earth Hour 2010 ? Earth Hour 2011 is coming soon in this month. On 26th March 2011 millions of people around the globe will unite for one hour and switch off their lights to show that they care about our living planet. After watching some video clip above, we believe you already have some concept on mind. Let’s us tell you some history about earth hour in Malaysia. Since its inception three years ago, Earth Hour’s non-partisan approach has captured the world’s imagination and became a global phenomenon.Nearly one billion people turned out for Earth Hour 2009 – involving 4,100 cities in 87 countries on seven continents. 2009 was the first time Malaysia officially participated in Earth Hour bringing Malaysians to turn off their lights for one hour to show their support towards climate change. Many prominent landmarks switched off their lights and Malaysians celebrating. Its estimated that more than 5million Malaysians participated in Earth Hour. 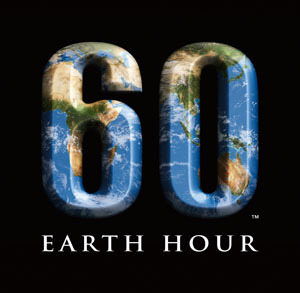 On 26th March 2011 at 8:30 p.m. (mean tonight 8.30pm 🙂 ) , let’s us turn off our lights for 1 hour to show our support and care about our living planet – EARTH. For more information, please visit Malaysia Earth Hour website http://www.earthhour.org.my/. This entry was posted in Events and tagged 1 hour, Earth Hour, turn off light on March 26, 2011 by RMvalues. ThreatFire Antivirus is formerly known as CyberHawk and it was bought by PC Tools. ThreatFire uses advanced patent-pending technology to detect signs of malicious behavior commonly used by malware threats. ThreatFire is unlike traditional antivirus products that rely on old fashioned “signature” technology and require updating every time a new threat occurs. By constantly monitoring the activity on your PC ThreatFire’s ActiveDefense technology is able to hunt down and paralyze threats that are too new or too clever to be recognized by traditional security software. ThreatFire employs an intelligent behavioral engine to only alert you on truly malicious behavior, because sometimes even legitimate software may look malicious. This means you are only alerted when you really need to be. Persistent zero-day threat protection made easy for everyone – even novice users! Displays detailed data on all running processes and allows you to terminate any process on demand. Malware quarantine and removal, rootkit scanner, advanced custom rules settings and more! Patent-pending ActiveDefense technology intelligently scans and analyzes computer processes to detect and block any malicious activity – without false positives! Perpetually ready for the next malware outbreak – detects malware by watching for malicious behaviors. Enhanced user interfaceelements provide more technical details on alerts and interactive reports in ThreatFire’s main control panel. Automatic updates run silently in the background so ThreatFire is always up-to-date. Protects against viruses, worms, trojans, spyware, keyloggers, buffer overflows, and rootkits– even if the threats are brand new and have never been seen before. Works alongside your other security programs – in most cases you can use ThreatFire with your other antivirus, anti-spyware, firewall or other security programs. To get your free ThreatFire Antivirus, please click here. This entry was posted in Free Stuff and tagged ActiveDefense technology, Free Antivirus, malicious, protection, ThreatFire on March 24, 2011 by RMvalues.